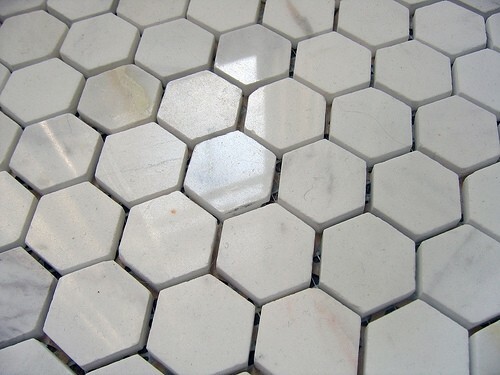 Bianco White Carrara Marble 1x1 hexagon tile is a perfect mosaic tile for any interior decoration project. This white Carrara marble tile come in the form of a 12” x 12” mesh mounted tile, which approximately covers 1 sqft. 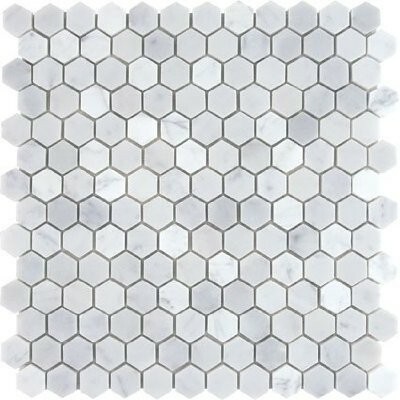 The Carrara marble tile has 132 chips of 1” x 1” hexagon set on a mesh net in honeycomb format. The surface finish of the tile is polished, a smooth shiny finish which brings life to space. The 1x1 Bianco Carrara marble tiles are recommended for installation in kitchen backsplash, bathroom flooring, bathtub surround, dining room, entryway. 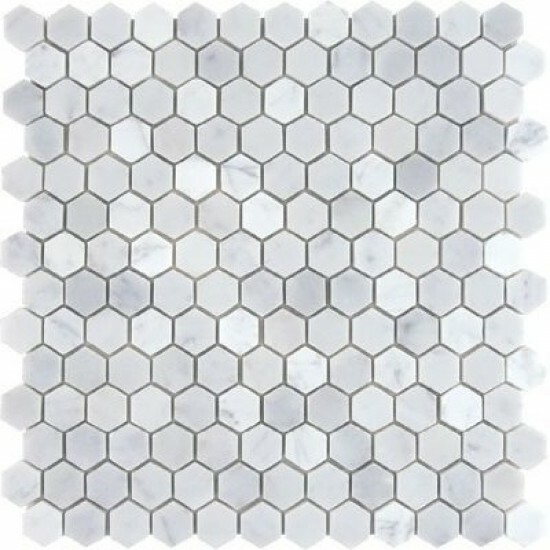 Our white carrera marble hexagon tiles come with a large selection of coordinating products such brick, herringbone, basketweave mosaics, 12x12, 18x18, 24x24 field tiles, 3x6 subway tiles, trims & moldings, borders, and much more.